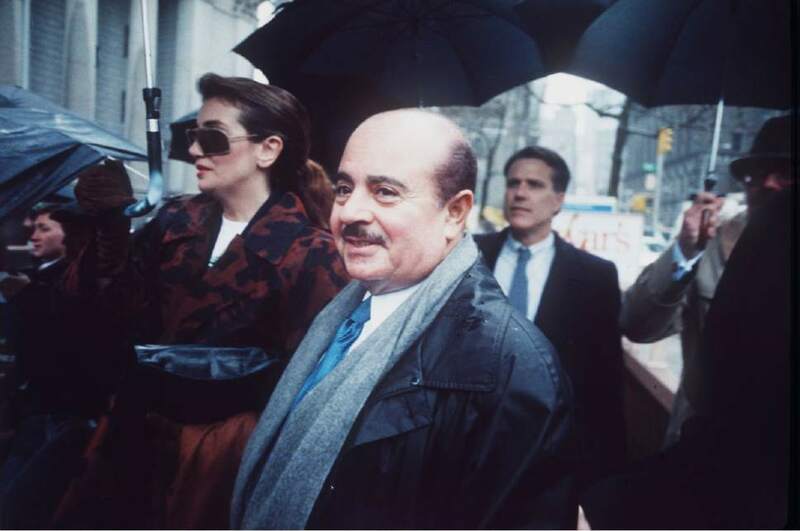 Adnan Khashoggi  who looked to be a key to Salt Lake City&apos;s economic future in the 1980s before bankruptcy halted that vision  died Tuesday in London at age 81. Once believed by some to be the richest man in the world, the Saudi arms dealer and influence peddler poured millions of dollars into the downtown Triad Center and the International Center next to the airport, reshaping the capital&apos;s west side. 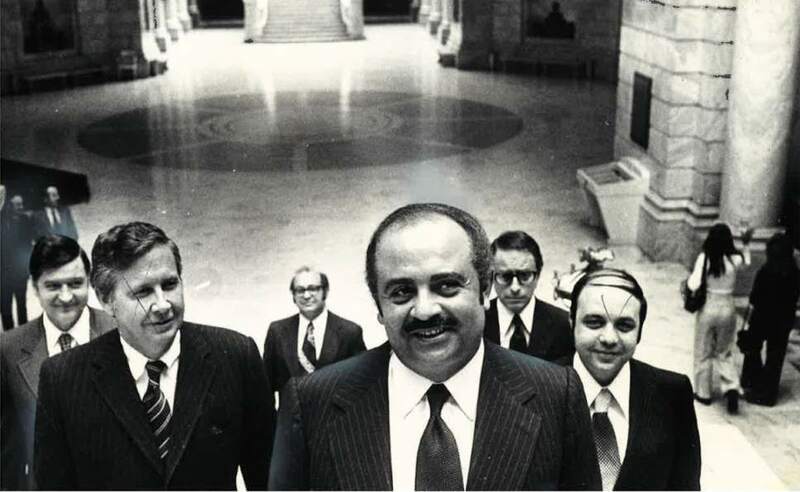 KSL moved into the first building in April 1984, and when the Khashoggi family toured the facilities in mid-June that year, it announced plans for a 600-room Hyatt hotel at part of the development. Ground was broken later for a pair of 35-story buildings. But Khashoggi&apos;s fortunes began to sag when the Triad Center laid off part of its workforce at the end of 1985; more layoffs would follow the next April. Security Pacific Mortgage Co. moved to foreclose on three Triad properties, and a lawsuit that year put the company&apos;s debts at $163 million. A bankruptcy followed that eventually ended Khashoggi&apos;s ownership and any further plans for investment in Utah. 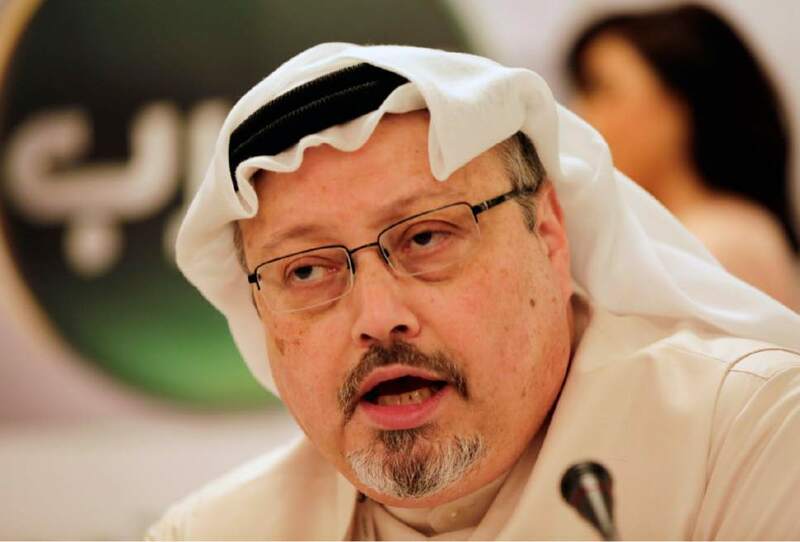 "He was a very good thing to happen to Salt Lake," said Manny Floor, who managed Khashoggi&apos;s U.S. properties, though he admitted, "There&apos;s some who differ with me." Khashoggi was known in the 1970s and &apos;80s for his opulent lifestyle of luxury homes, a giant yacht (later sold to Donald Trump) and parties that included Hollywood stars. Billionaire Howard Hughes persuaded Khashoggi to invest money from arms sales and other deals into the U.S., including Salt Lake City, Floor said. Khashoggi then hired Floor, a former tourism and economic development official, to manage the Utah investments. The flatland west of Salt Lake City International Airport was graded to drain excess water; tree-lined streets and ponds were built; and offices, light manufacturing facilities and hotels were opened. Khashoggi also assembled land for the Triad Center at and near Devereaux House along 300 West and South Temple. Khashoggi and his family came for the 1975 dedication of what was to be the first phase of an ambitious development. "Adnan use to love to come here," said Floor. By the early 1980s, he was sometimes referred to as the world&apos;s richest man, though The Washington Post said he was not. In mid-1985, Khashoggi showed off his wealth with an over-the-top 50th birthday party at a home in Spain, which Floor said he attended with his wife. But by the end of the year, Utah layoffs and creditors came knocking. In December 1986, Khashoggi&apos;s name was linked to the Iran-Contra scandal when it was reported that he received $17 million for brokering Iranian arms sales to the Nicaraguan Contras. On Jan. 28, 1987, Triad America filed for bankruptcy. The Church of Jesus Christ of Latter-day Saints eventually bought the Triad Center. Vivint Smart Home Arena sits on what had been Triad land. Khashoggi wasn&apos;t charged for his Iran-Contra dealings, but he was arrested in Switzerland in 1989 on U.S. accusations of helping Philippine President Ferdinand Marcos conceal millions of dollars and artwork; Khashoggi was acquitted in federal court. 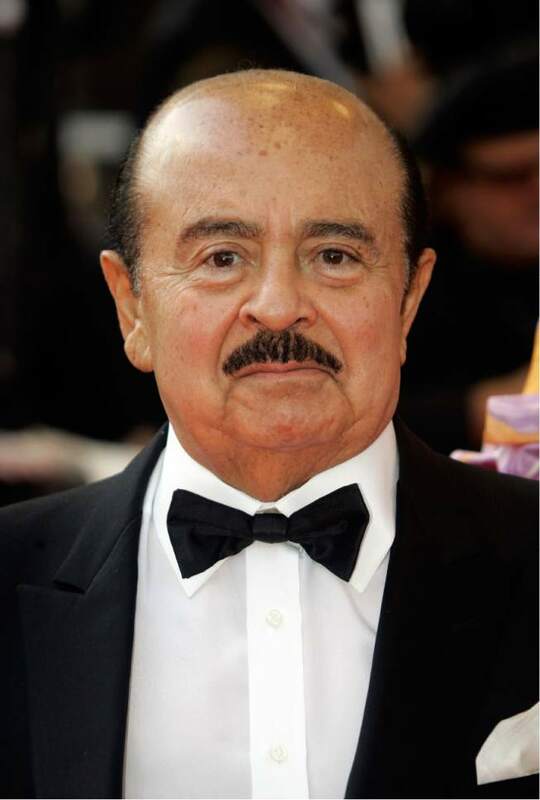 Khashoggi was born in Mecca in 1935, according to some biographies. His father was the personal physician to the king of Saudi Arabia. He attended universities in Colorado and California and, by the 1960s, had become a successful deal-maker, creating bridges from Saudi oil money to U.S. defense contractors and Washington insiders. He is survived by six children an ex-wife and two wives, The Post said.